Got this GREAT large sized board book at the library for only 50¢. I have got to find more of these! No need to glue pages together and the book is 9×12 – fantastic size. It was a children’s story book written in German with these kinda creepy illustrations that I was happy to paint over. Here are some of the pages. 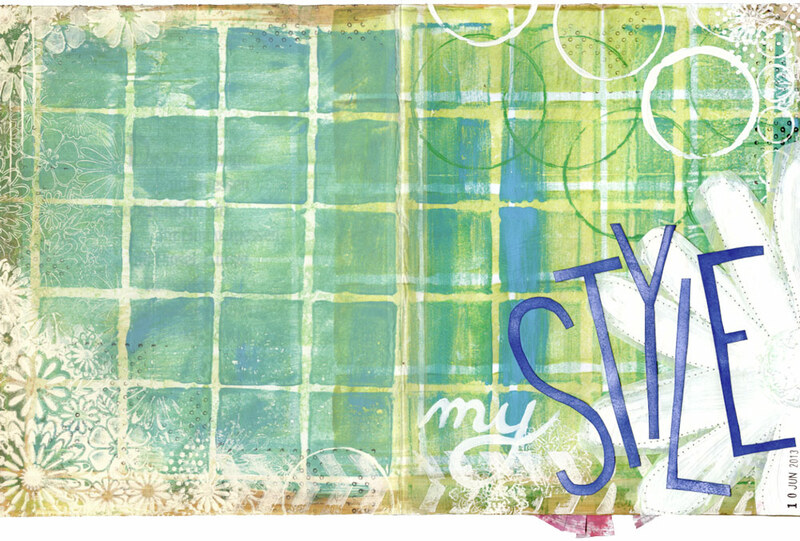 The inside cover is layers of acrylic paint stamped with lots of my hand carved stamps. I had hand cut these letters for a DUDS project and thought they FIT my Style. 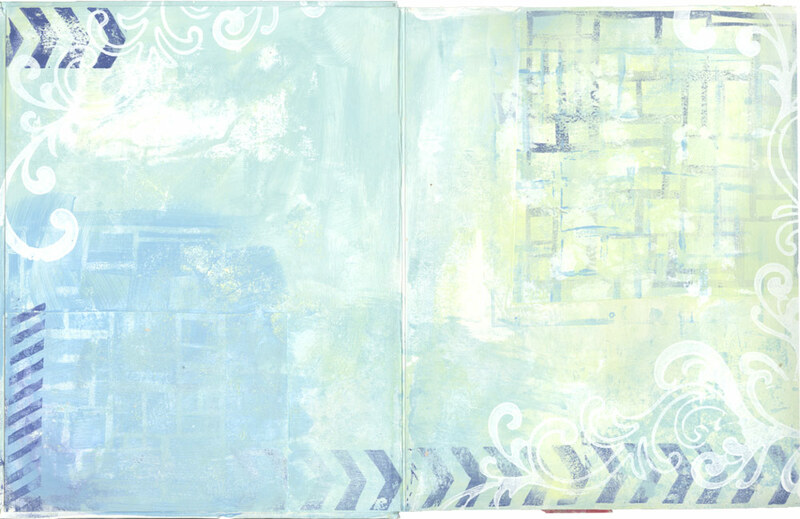 The squares were stamped on deli paper with ceramic tiles – a tip I learned from Jodi Ohl on 21 Secrets. I have been loving that workshop!